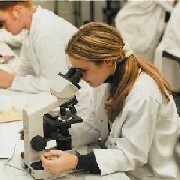 Within Natural Sciences, Earth Sciences has BSc Joint-Honours programmes with: Biology; Chemistry; Geography; Mathematics. Please note that these requirements are just for the B.Sc. degrees and the M.Sci. in Natural Sciences, requirements for the JH M.Sci. degrees involving Earth Sciences are detailed elsewhere. 60 credits: Modules taken from the Level 2 Earth Sciences list. 40 credits: from the Level 3 Earth Sciences list. If 60 credits or more are taken, one 20 credit module can be at Level 2. Geological Sciences: To obtain accreditation Field Studies (GEOL1051) must be taken at either Level 1 or Level 2. 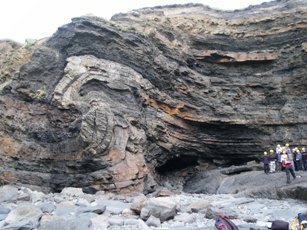 All students wanting to obtain accreditation must take the two "Joint-Honours" modules and Field Studies (GEOL1051) - see the Faculty Handbook for definitive guidance. Geological Sciences: To obtain accreditation modules to the value of 60 credits or more must be taken and must include (the latter module may be taken at level 1): Fieldwork (geological) (GEOL2191); Environment And Resources (GEOL1111) - see the Faculty Handbook for definitive guidance. General: For the mathematically inclined Hydrology And Climate (GEOL2171), Modelling Earth Processes II (GEOL2251) have "no prerequisites". Progression from: GEOL2191; GEOL1111; GEOL2171; GEOL2251. Geological Sciences: To obtain accreditation modules to the value of 80 credits or more must be taken and must include Dissertation (GEOL3022) - see the Faculty Handbook for definitive guidance. General: Earth System And Climate (GEOL3231) has no prerequisites. Also Palaeobiology (GEOL3071) has a prerequisite of Organisms And Environment (BIOL1161). Progression from: BIOL1161; GEOL3022; GEOL3231; GEOL3071.